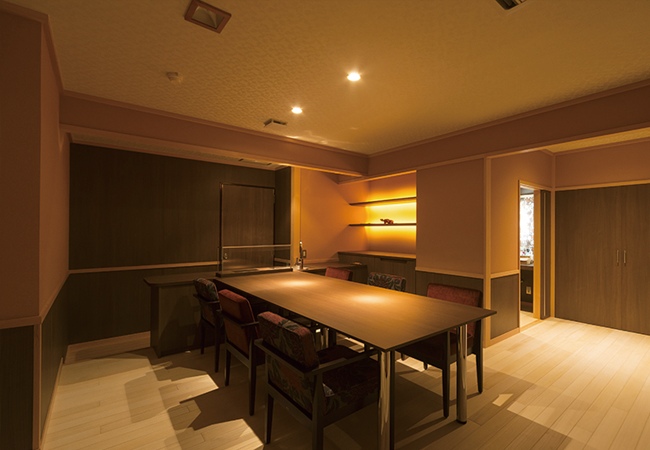 a spacious space of tasteful preparation wait you. 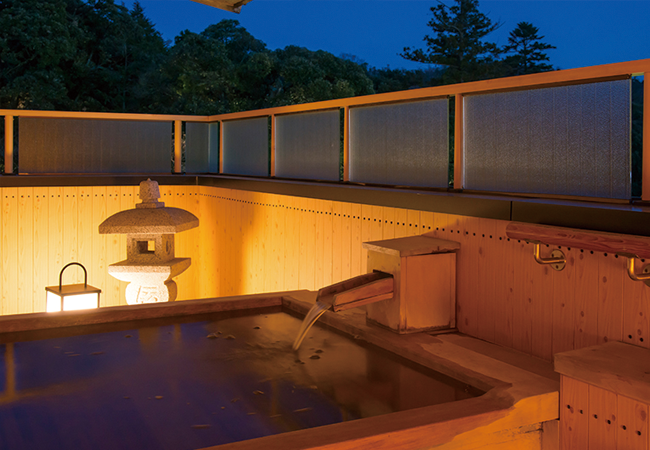 The scent of young trees tickle your nose and a refreshing wind passes through. 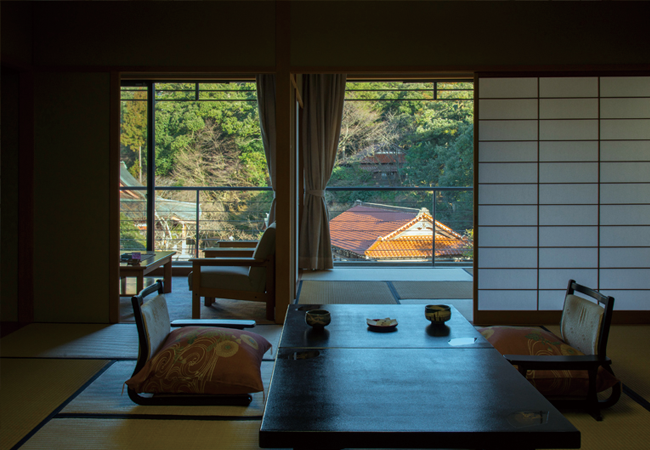 First of all, please enjoy the hospitality with Matcha (Green tea) and Kaga’s confectionery that you will receive in tea ceremony with Shigaraki and Bizen Pottery. 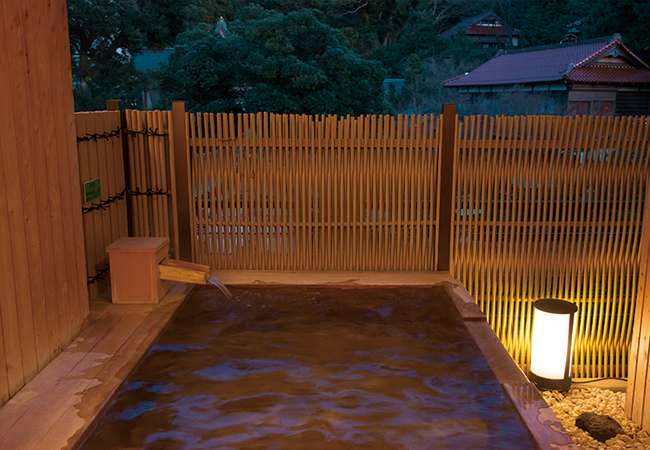 Relaxing a tiredness of your trip, you can relax. 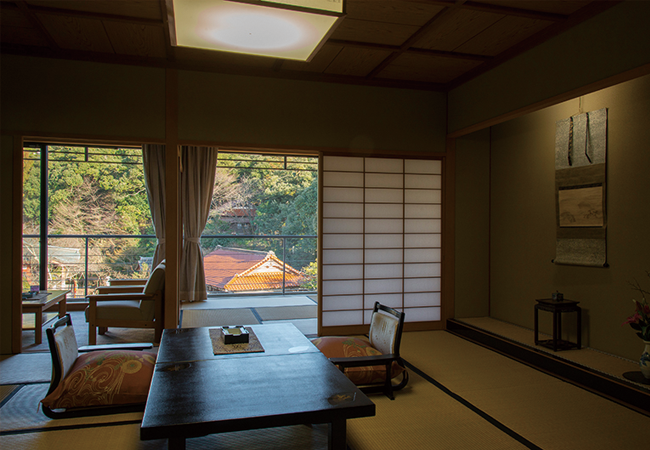 In the room, the paintings drawn by the predecessor and the former generation of Tachibana Shikitei and the Kurani pottery vases collected by them,floors covered by natural innocuous paulownia, handle of kutani ware, hanging scrolls and arrangement of flower which are changed every season, it is a hospitality of Shikitei. 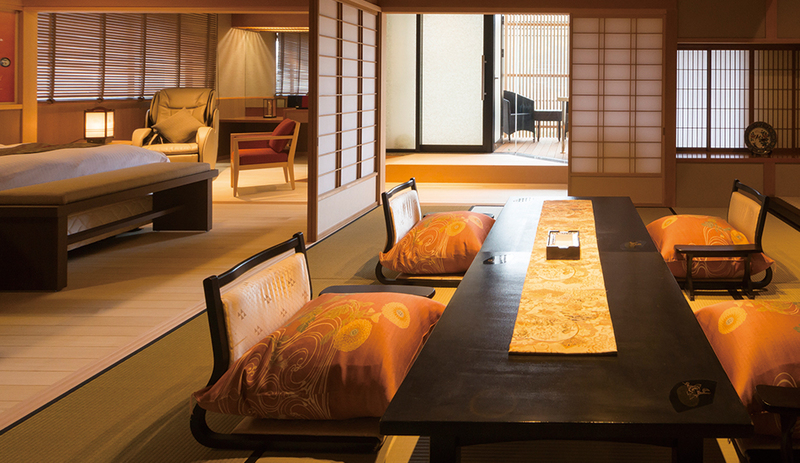 You can feel the taste of Yamashiro everywhere. 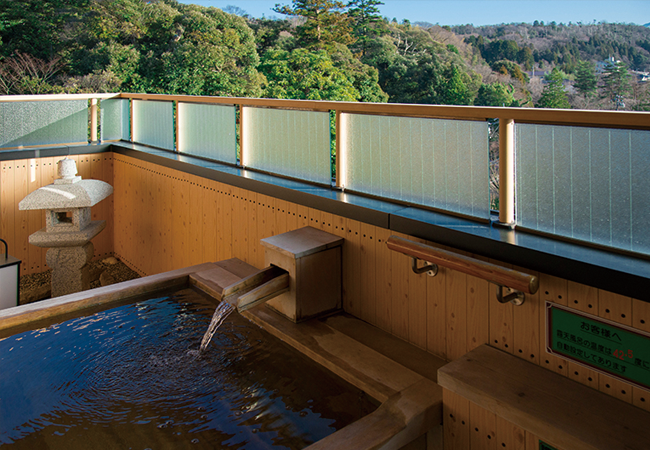 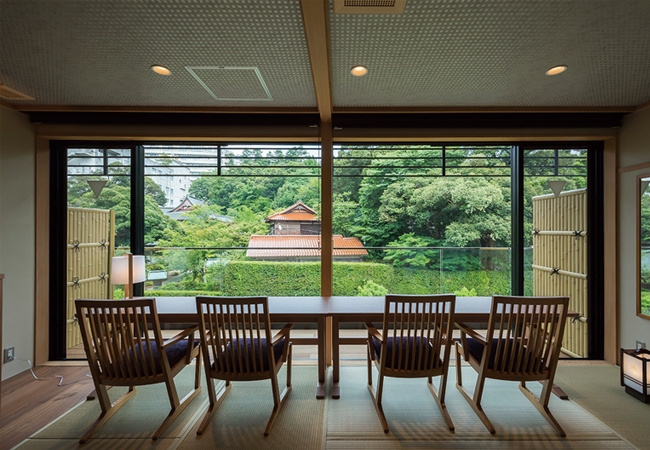 Also, you can see from the window of the room, the grove of a village shrine of the Hattori Shrine Yakuouin temple. 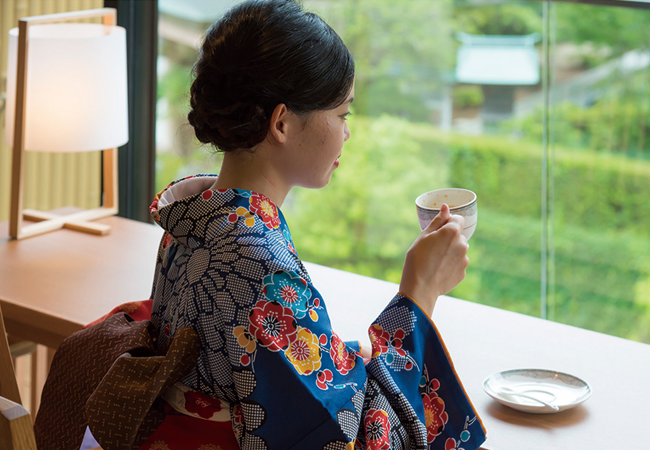 The scenery changes its taste in spring, summer, autumn, winter, and every season looks like a picture in one width, so you can relax and forget the time goes by. 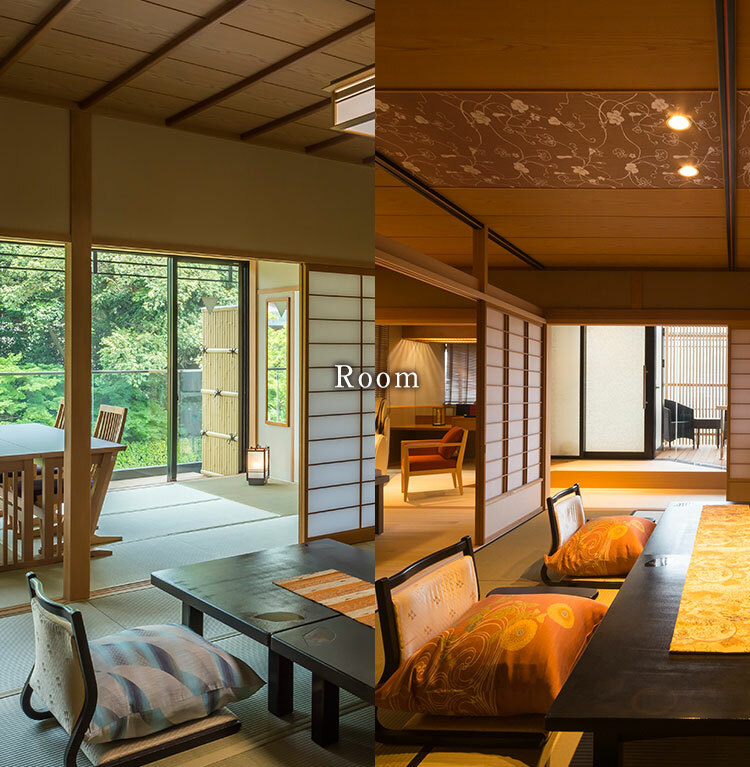 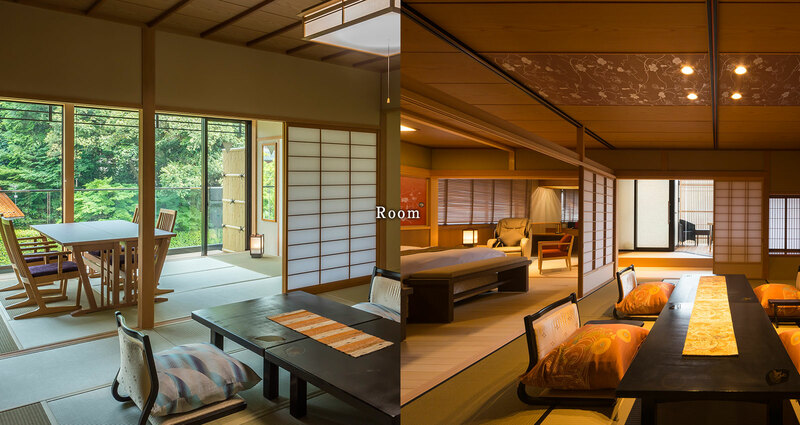 Japanese room, bed room and dining room with private kitchen. 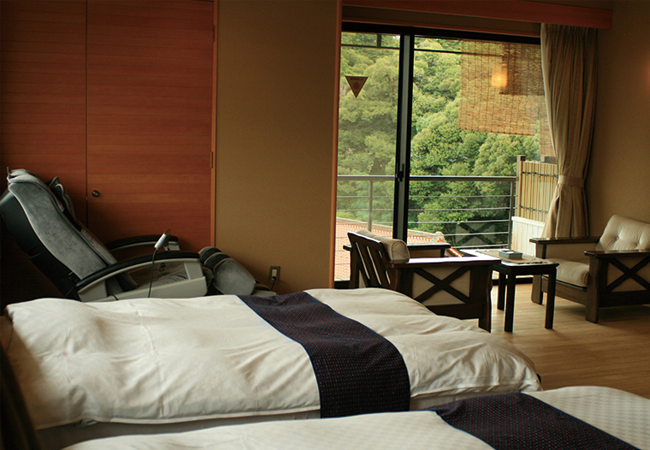 For a comfortable sleep, we prepare searly beds. 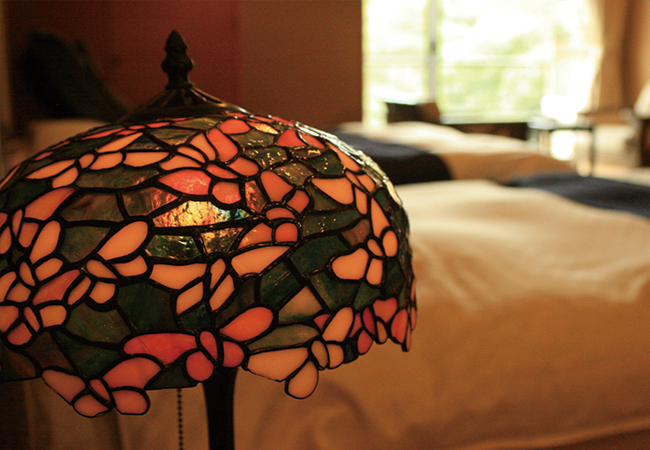 It is a structure that devised ingenuity to lighting. 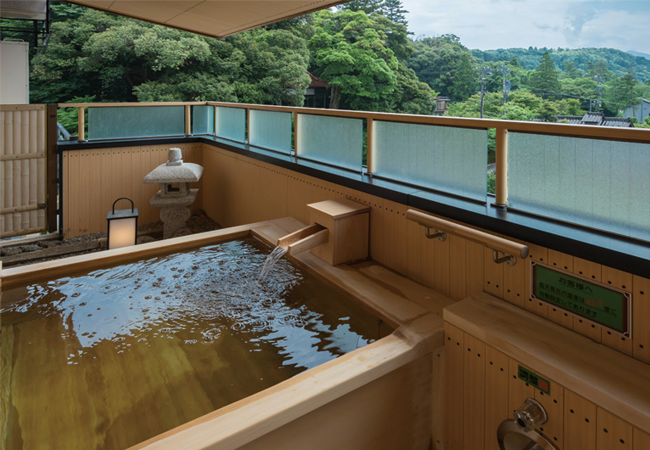 we draw luxuriously hot water of plenty of Yamashiro first source, we prepare to be available at your convenience 24 hours. 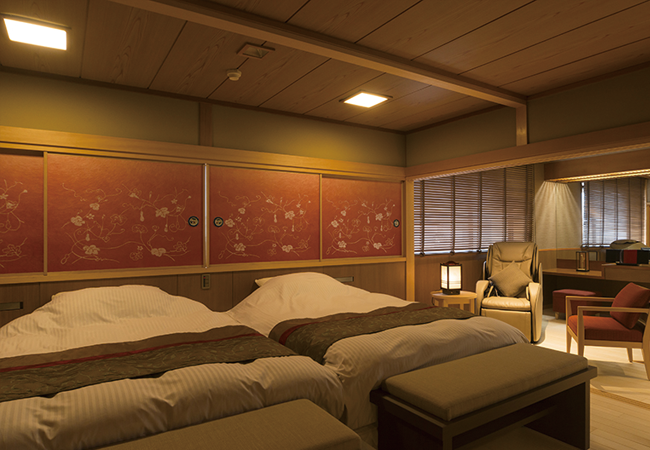 For a comfortable sleep, we prepare searly beds. 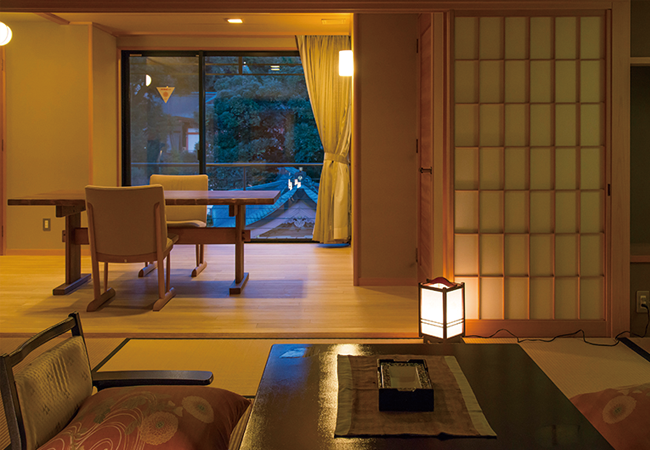 It is a structure that devised ingenuity to lighting. 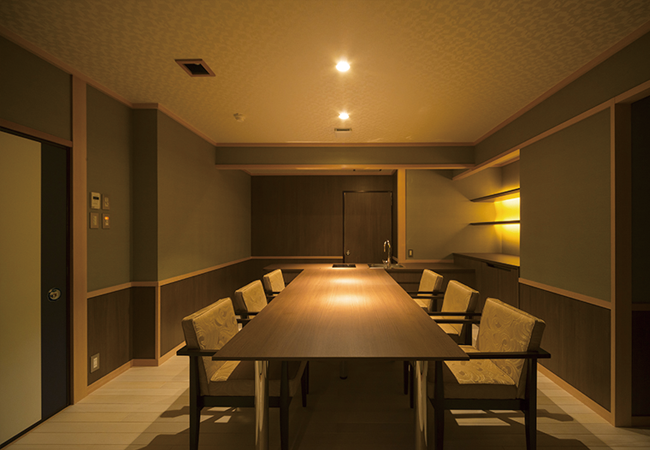 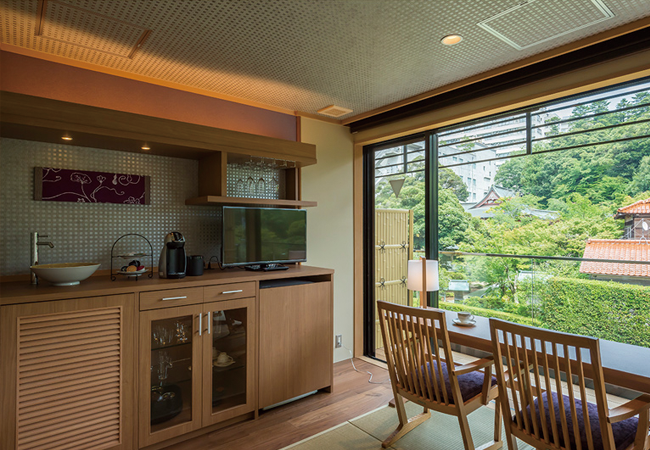 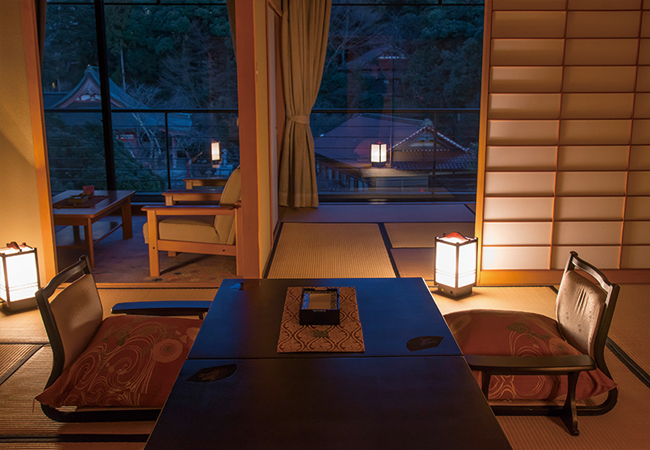 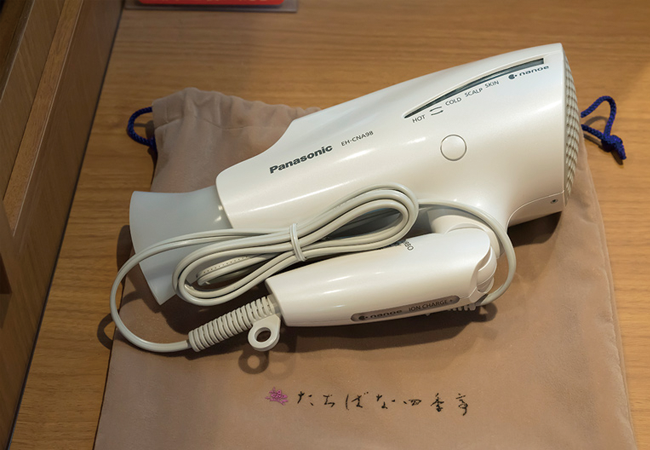 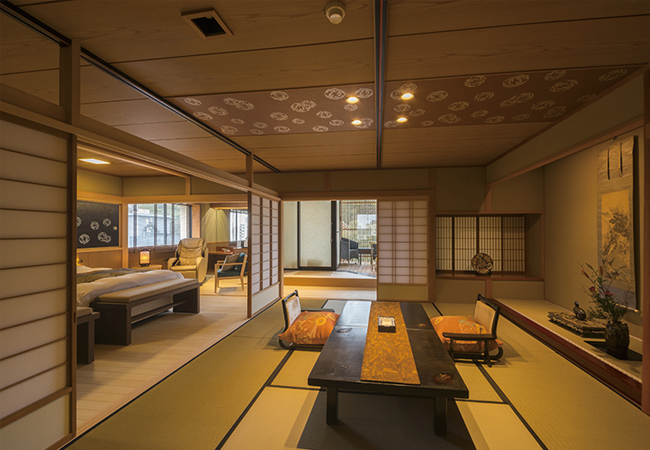 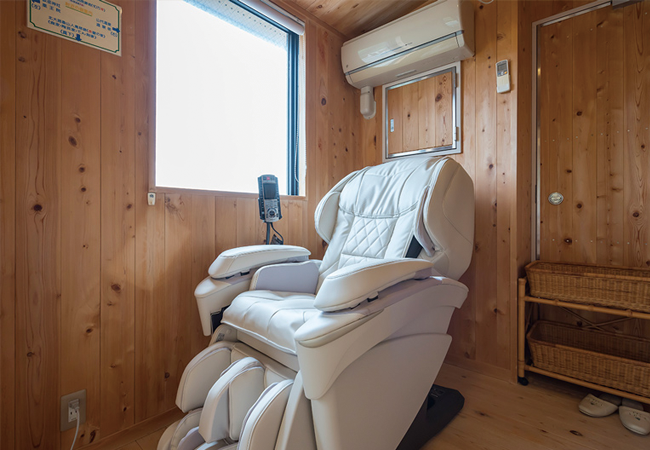 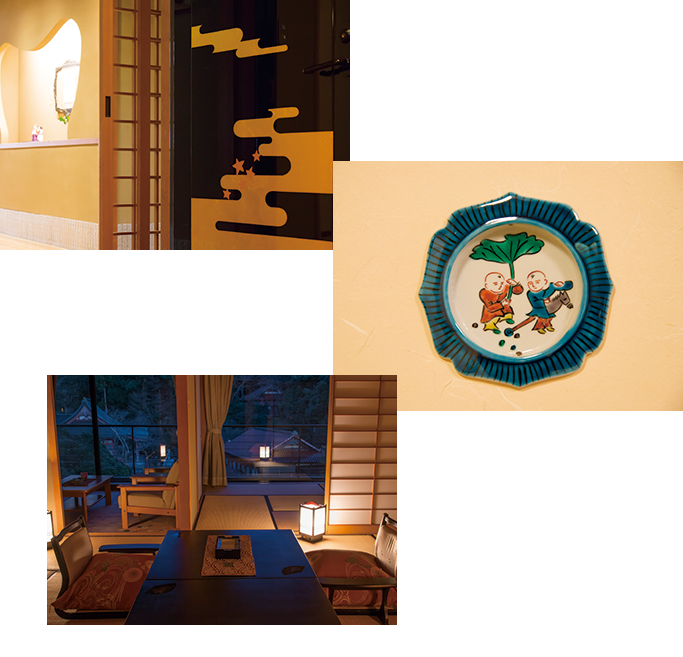 The room is a corner room from where you can enjoy the taste of season and the emotion of the Spa town such as Yakuouin Temple, Hattori shrine and Yamashiro Spa town. 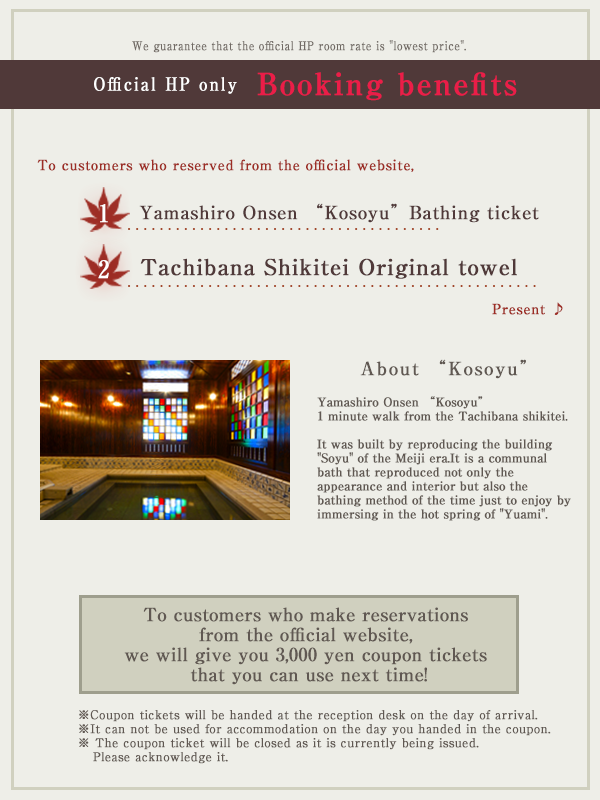 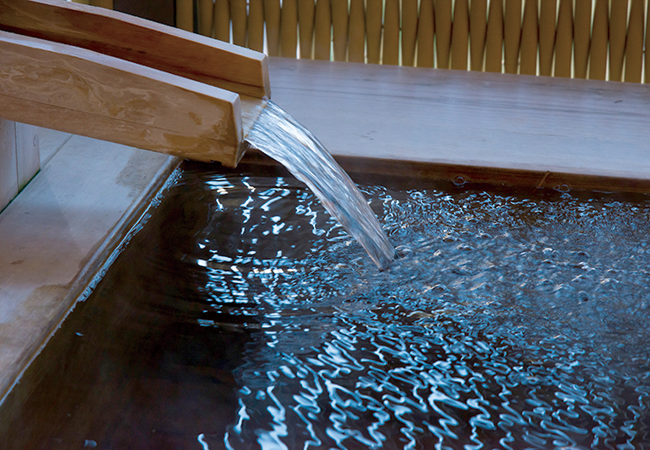 In the outdoor bath, we draw luxuriously hot water of plenty of Yamashiro first source, we prepare to be available at your convenience 24 hours. 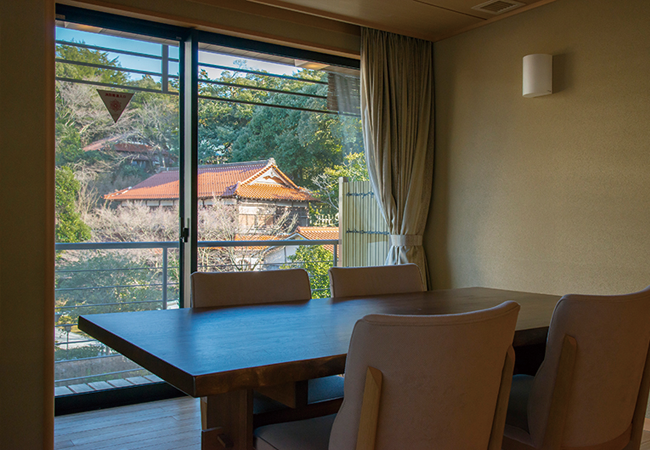 Dining type of room with new Hinoki (Japanese cypress) open-air bath. 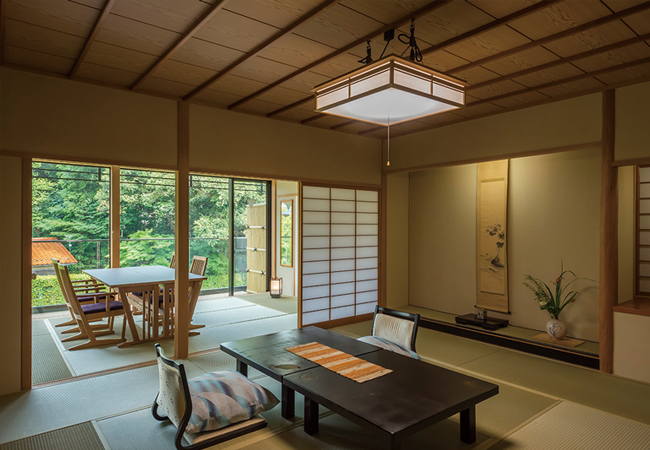 There is a spacious dining room and a room with 12.5 Tatami mat. 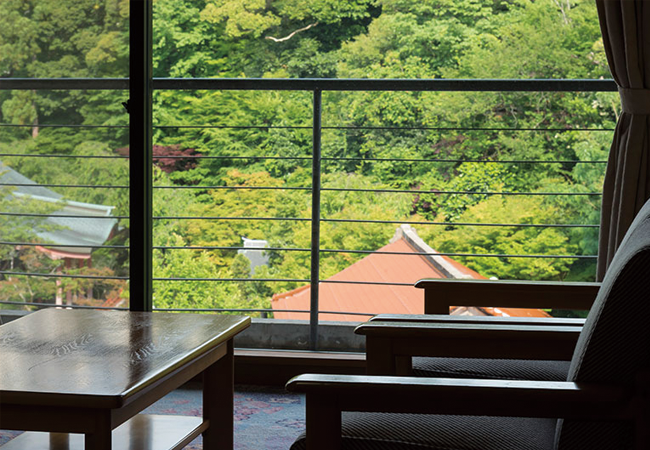 While enjoying the view of Yamashiro, you can enjoy your freshly prepared meal slowly. 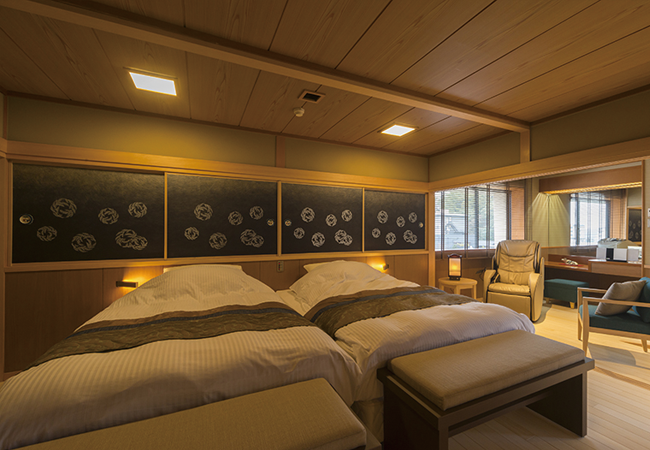 Of the room with new Hinoki (Japanese cypress) open-air bath, this is bed room type. 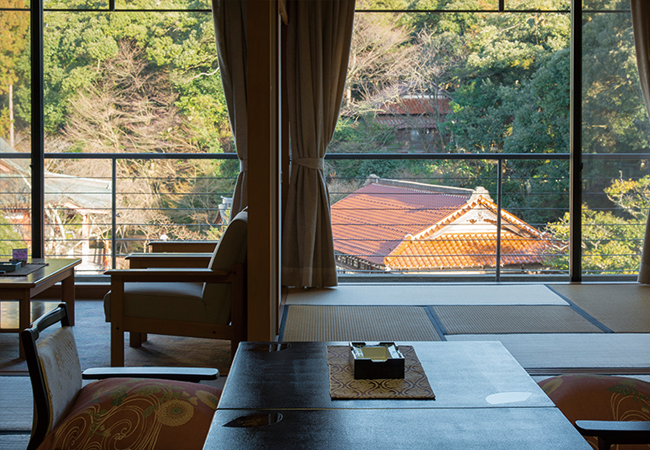 Spacious twin bed room and 10 Tatami mat room, spacious veranda, a special luxury setting. 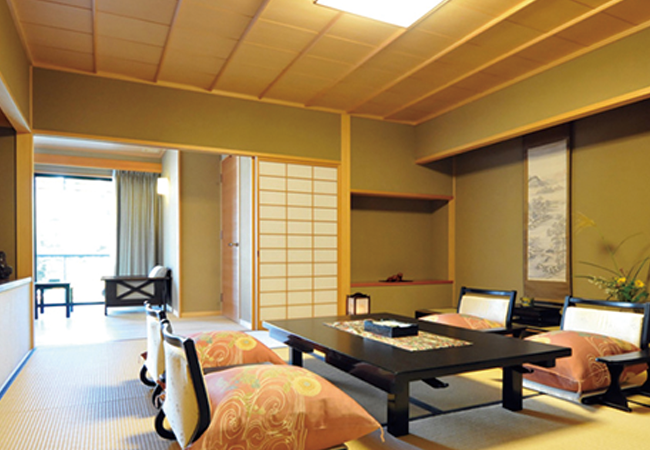 Please eat meals in Japanese style room and rest in your bet comfortably in the rest. 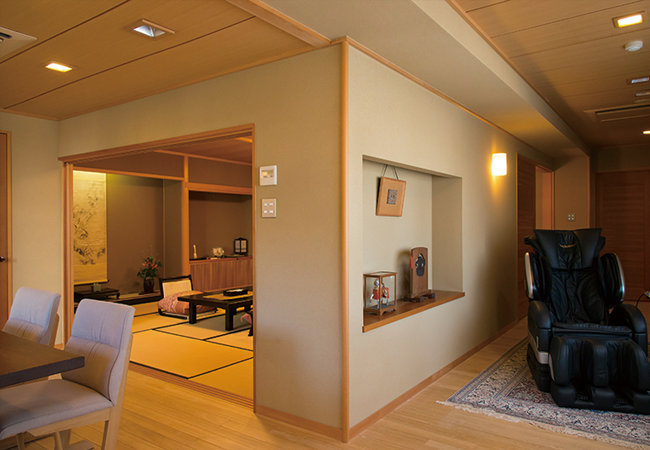 It becomes a barrier free room. 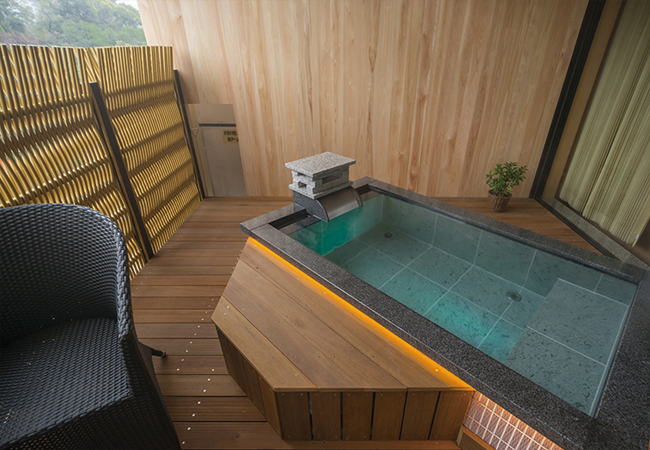 Enjoy the luxury enjoying deep green moiling scenery and quiet atmosphere in private outdoor bath. 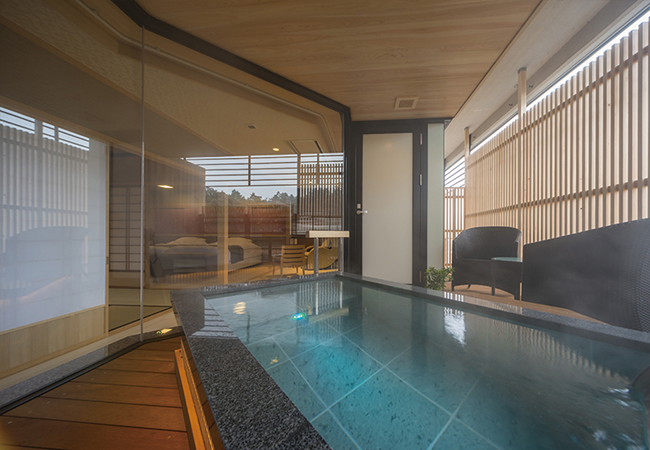 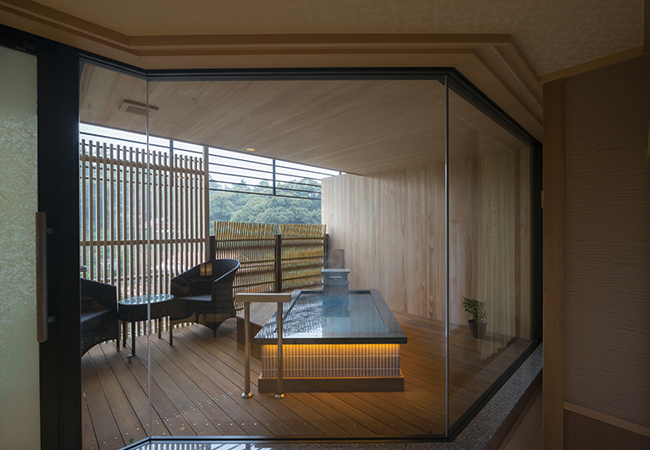 The room with Hinoki (Japanese cypress) open-air bath, luxury space with 12.5 and 4.5 Tatami mat rooms, spacious veranda and open-air bath. 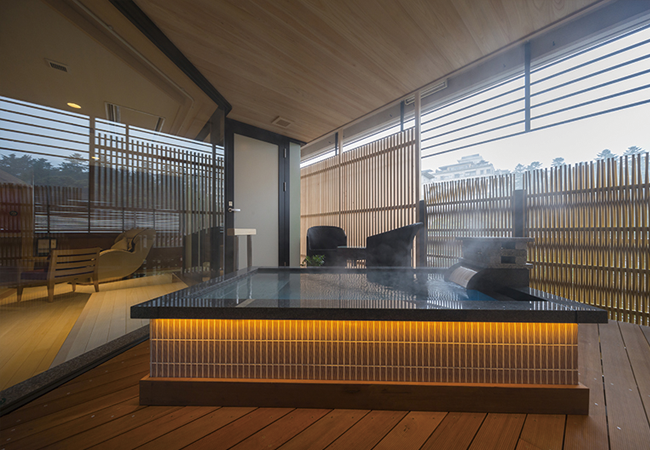 Enjoy the view of four seasons as you enjoy open-air bath where source is drawn freely during the day and the night, please enjoy hot water bath as much as you want. 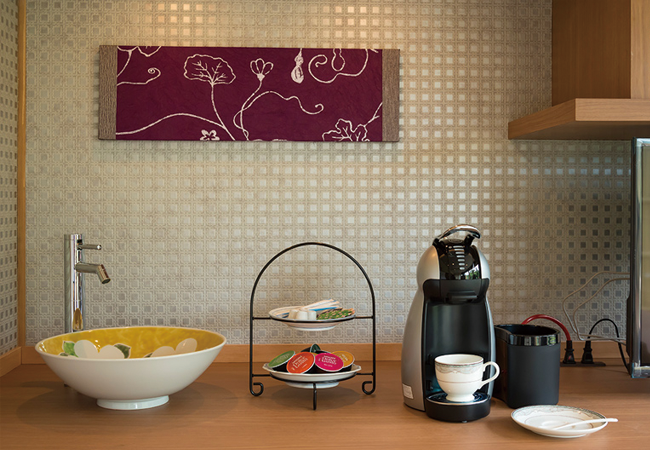 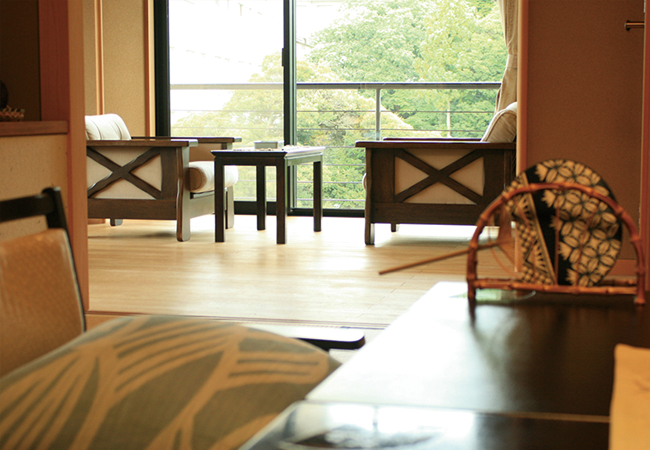 The spacious basic rooms with 12.5 and 4.5 Tatami mat rooms, spacious veranda. 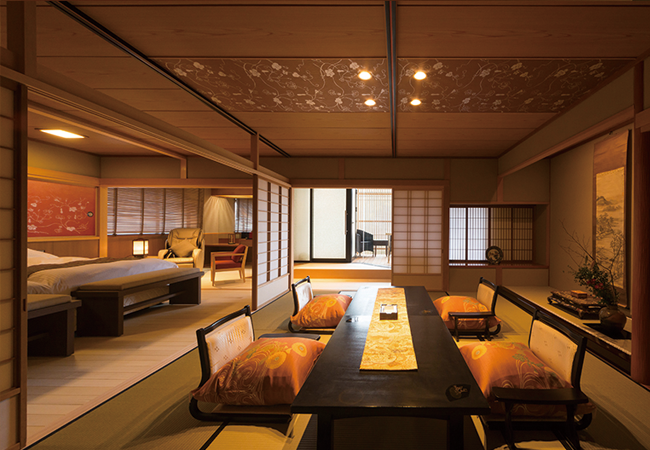 Room of attention that arranges casual luxury everywhere until it reaches one furniture. 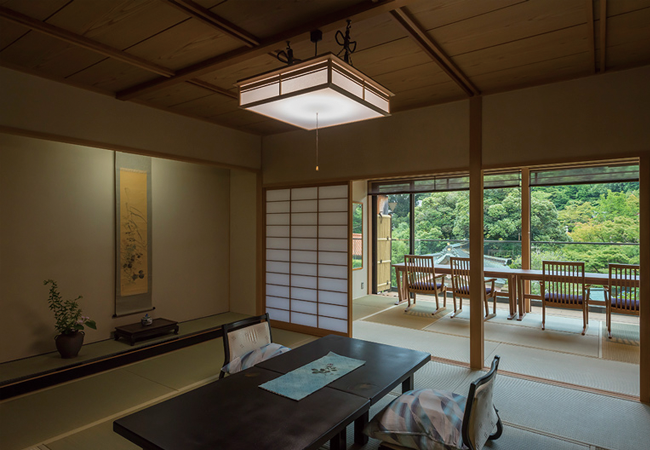 Please enjoy the original taste of Tachibana Shikitei such as hanging scroll and arrangement flower from which you can feel seasonal taste.